Populate listview items from PHP MySQL server using JSon object data in ListView example tutorial. Since the beginning of android application development JSon is the most advanced and safe way to send – receive data between mobile phone device to online server . So in this example we would create a simple listview with dynamic content like all the data arrived from online PHP Server . 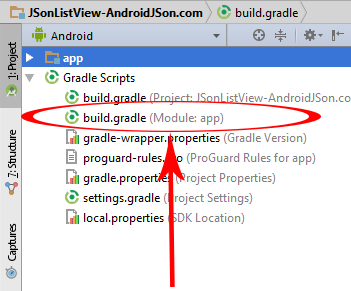 So here is the complete step by step example of Android JSon Parsing ListView . Creating a Database on your hosting server with table . Adding Internet permission in AndroidManifest.xml file . List of all layout files of JSon Parsing ListView. List of all PHP files in this project. 1. Watch Tutorial Video-Explained how it works on live device. Next step is to start a new android application project on Android Studio. 3. Adding org.apache.http.legacy library in your project JSon Parsing ListView . The Apache library is very important for this project because in this project will going to use the HTTP classes to parse JSon object data. So follow the below steps to implement the library in your project. 1. Open Your Project’s build.gradle(Module:app) file . 2. 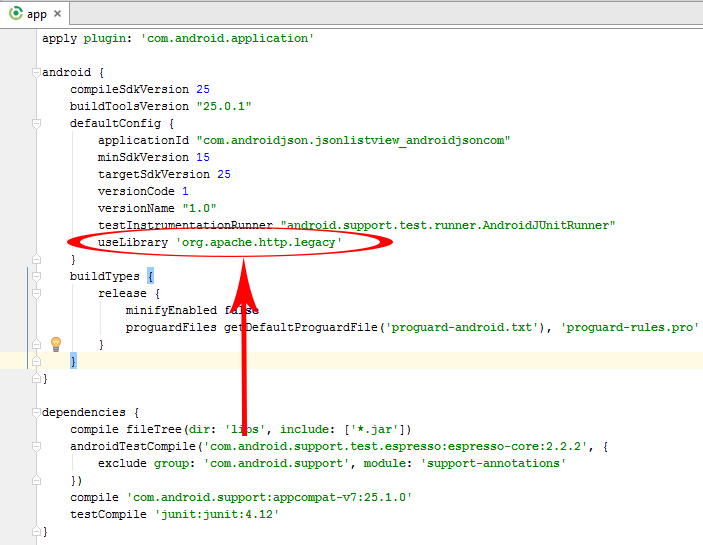 Add useLibrary ‘org.apache.http.legacy’ in android scope . 6. 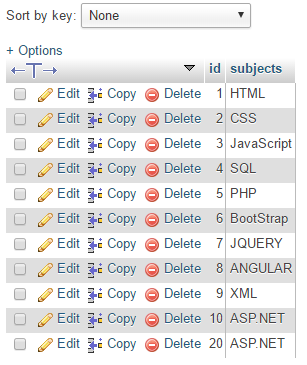 Step 6 is to upload the both php files on your hosting server where you have create the MySQL database and table. 7. Test the uploaded script : Its very easy to test your script is working on not by simply opening the Subjects.php file on web browser with domain URL like i did in below screen shot. 8. Adding Internet permission in AndroidManifest.xml file . 9. Start Coding : Now all the major steps has been done so its time to start coding. 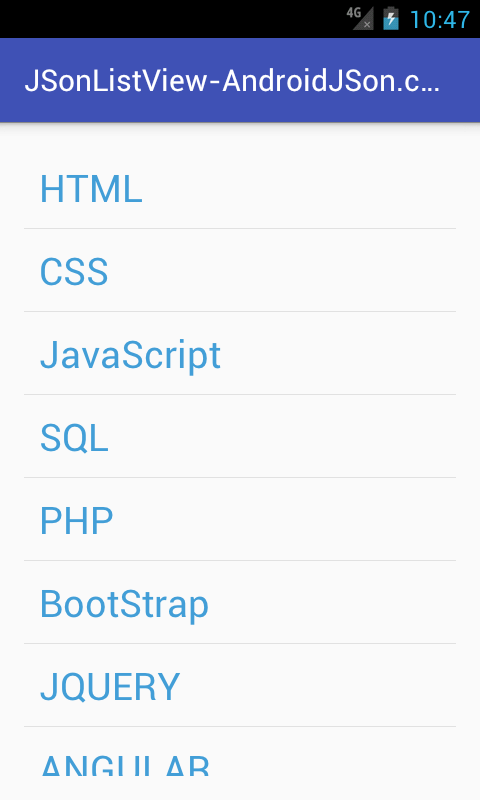 Android JSon Parsing ListView Items Retrieve Via PHP MySQL Database . * Created by Juned on 12/24/2016. * Created by Juned on 12/25/2016. thanks it worked with me.